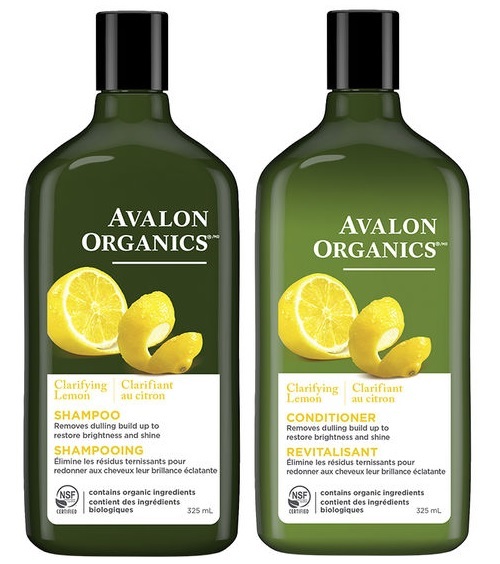 Avalon Organics Clarifying Lemon Shampoo - 325ml - $12.99 - with lemon essential oil, quinoa protein, aloe and vitamin E to clarify and brighten, ridding the hair of excess oils and dulling build-up and restore natural highlights and shine. Avalon Organics Clarifying Lemon Conditioner - 325ml - $12.99 - strengthens hair strands and provides critical moisture as lemon essential oil, quinoa protein, aloe and vitamin E gently condition and continue the clarifying process. Even if you aren't looking to change up your usual shampoo routine, I would still recommend using a clarifying shampoo for a week or two every other month to get rid of product buildup - you will see how much better your usual shampoo will work after you take the break and if you are a swimmer, make sure you keep this in your shower bag, it's amazing for eliminating chlorine which can do a real number on the hair if you don't effectively wash it out! Best of all is the scent, pure, aromatic and natural - and sooooo lemony good! Available in Canada at Loblaws, Whole Foods, London Drugs, Safeway and Sobeys West stores and online at well.ca.